WCSS has both Drum and Pedco Skimmers available. Pedco Skimmers are in each of the 34 WCSS spill response units. 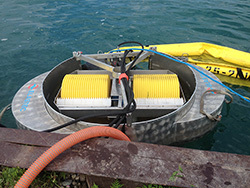 WCSS maintains several drum skimmers in various locations. There are two types of drum skimmers available. 1. 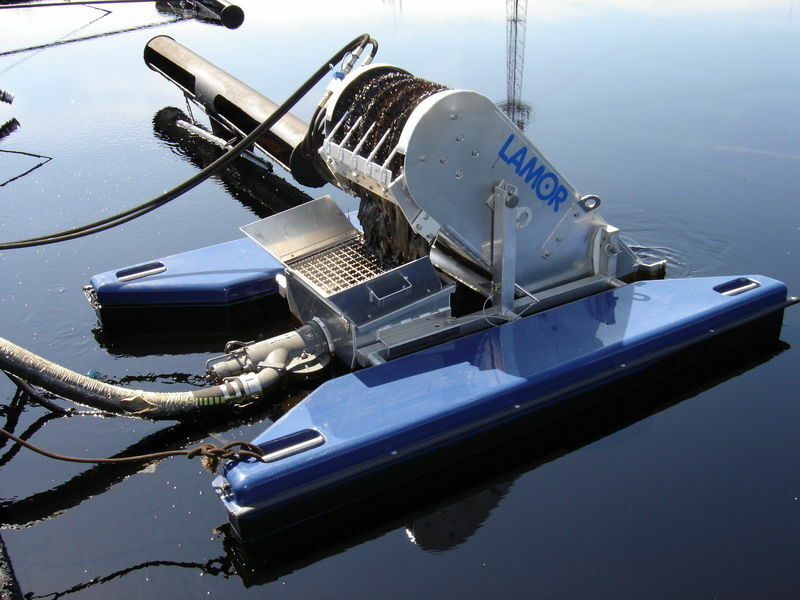 The Elastec skimmers have either one or two drums that rotate through oil and collect it with a very small volume of water. They are typically used in very slow moving current, bell holes or stagnant water. These skimmers are all hydraulic and come complete with the skimmer and diesel driven power pack. 2. The Aqua-guard skimmers operate on the same principle as the Elastec's and also have brush or disk attachments. These units come complete with a diesel driven power pack. 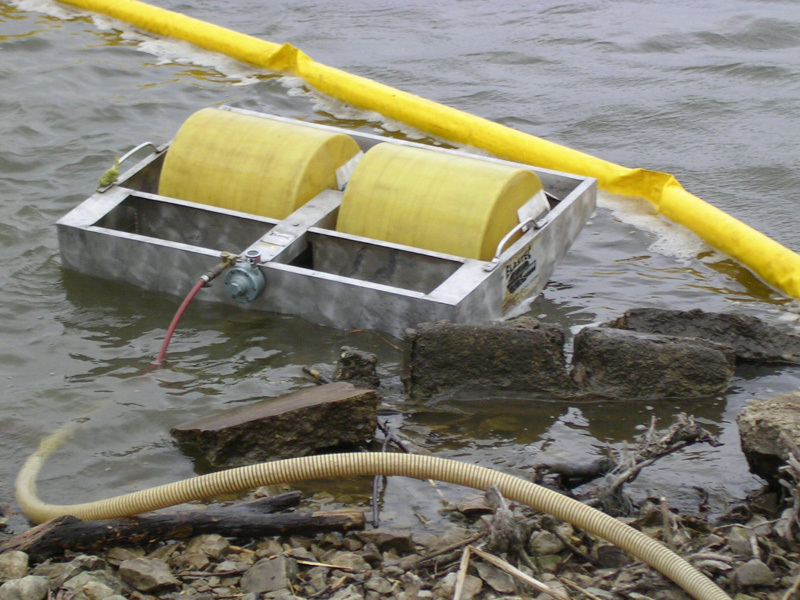 Each of the approximately 34 WCSS spill response units contains a minimum of 1 Pedco skimmer. 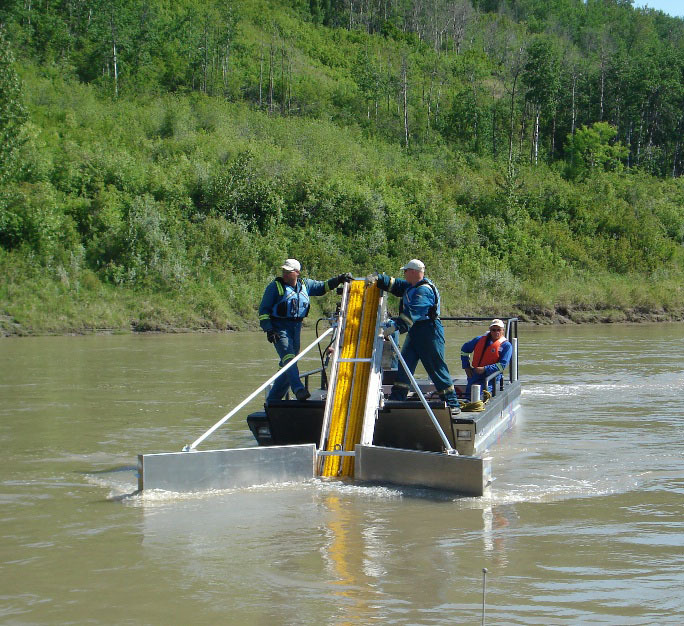 Pedco skimmers are designed to recover surface hydrocarbon in a creek or river with current. The Bow skimmer is an advancing skimmer that mounts on the front of one of the WCSS barges. 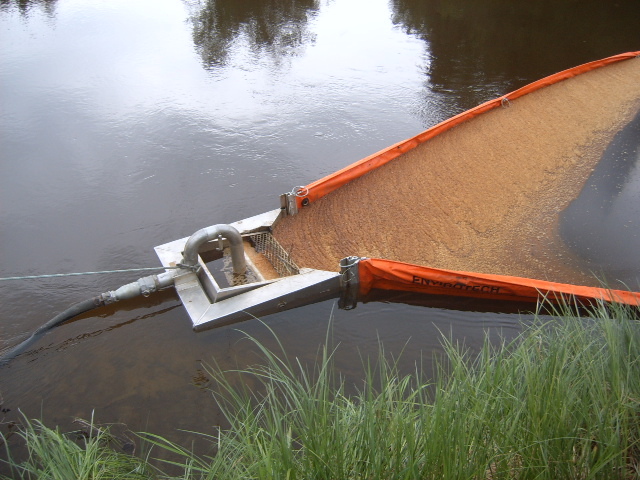 This skimmer has wings that direct product on the surface of the water onto oleophilic brushes where it is then removed from the brushes with scrapers and pumped into temporary containment tanks. The tanks can either be on board the twin barge or on boats moored to the side of the barge. 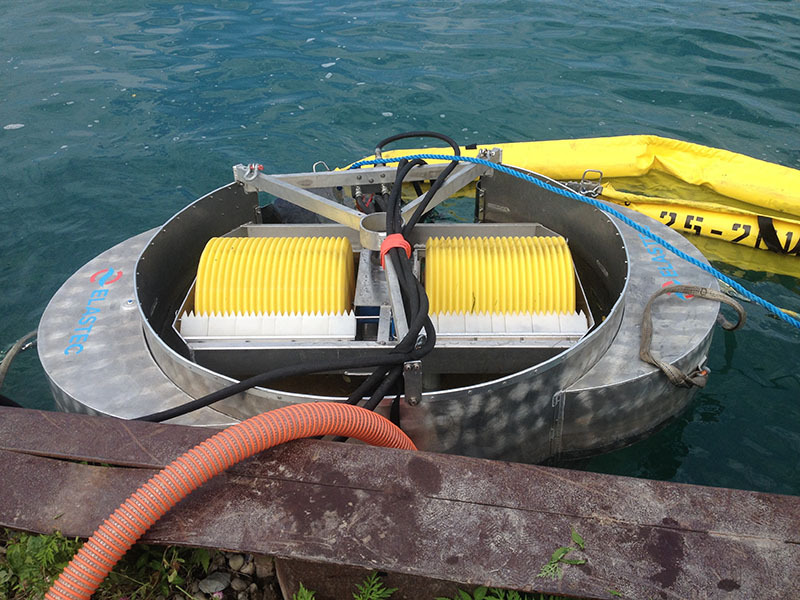 The skimmer works best in current up to 3km per hour and in relatively calm waters. The Heavy Oil Skimmer is a stiff-brush conveyor belt type of skimmer. It is designed to work with light to extremely heavy oils by simply changing the direction of the rotary brush conveyor. It has an Archimedes Screw Pump and heavy duty hydraulic power pack. 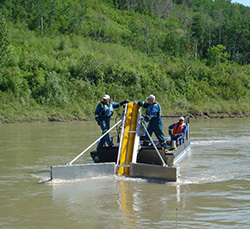 The Circus Skimmer is an inline oil skimmer that is attached to river boom. It has a circular chamber that accumulates the oil and allows water to exit the bottom. It is ideal for river conditions and has shown 90% recovery in two-knot current.